Success is no accident. Hard work and persistence invested in a certain area brings a generous harvest. An extra bonus is the appreciation of business partners, who value your efforts and dedication. For many years ASAP Tickets has been a trusted partner of Philippine Airlines (PAL). ASAP Tickets sells an impressive amount of PAL tickets on routes from the U.S. to the Philippines. PAL recognized our company for actively promoting PAL to U.S. customers. Our efforts did not go unnoticed. And so in March, PAL invited ASAP Tickets to the PAL Awards International 2017. This event took place on the beautiful Boracay Island. The PAL Awards International is an annual event. PAL brings together their top partners from every country: the U.S., Canada, the U.K., China, South Korea, Japan, Singapore, UAE, Qatar, Indonesia, and many others. Filipino TV celebrity Luis Manzano hosted this prestigious event, along with other celebrities. So, of course, this was an exclusive event! ASAP Tickets representatives Daniel Lei and Peter Vazan received the Top Performer award for being one of the U.S. top sellers. This was a great honor for the company and a powerful incentive for ASAP Tickets agents to keep up the good work! ASAP Tickets representatives Peter (left) and Daniel (right) with Top Performer award by Philippine Airlines. Philippine Airlines Vice President of Marketing Ria Carrion Domingo. ASAP Tickets representatives Peter (left) and Daniel (right) with Philippine Airlines COO Jamie J. Bautista. Philippine Airlines VP Global Sales Ryan T. Uy. Famous Filipino comedian Jon Santos. Famous Filipino comedian Jon Santos during the show. Jon Santos acting as Pia Wurtzbach, Miss Universe 2015. In case you are not that familiar with PAL’s story, here is a quick overview of Philippine’s flag carrier. Founded in 1935, Philippine Airlines was originally known as Philippine Aerial Taxi Company. It operates from a primary hub at Ninoy Aquino International Airport (MNL) coupled with a secondary hub at Mactan-Cebu International Airport. PAL flights depart to 37 foreign cities in Asia, Australia, the Middle East, China, and Japan. Additionally, they operate 7 domestic routes. Booking Philippine Airlines tickets with ASAP Tickets means exclusive unadvertised low airfares. And what’s more, impeccable service provided by our team of 850+ highly-skilled travel experts. 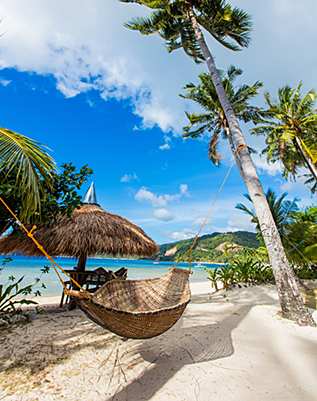 In other words, a perfect combination for your next trip to the Philippines!